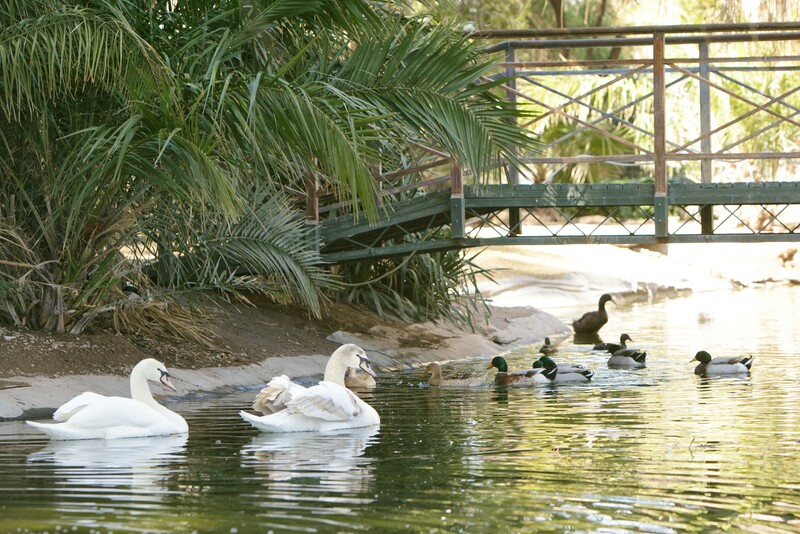 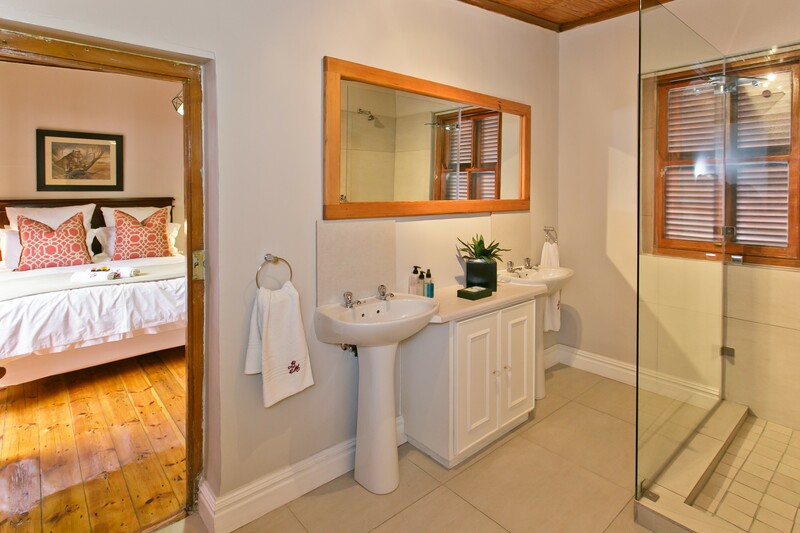 Luxoury rooms, family self-catering cottages, air-conditioner, TV, swimming pool, tranquil gardens with duck sanctuary, safe and secure parking, 24 hour CCTV and security, child and pet freindly. 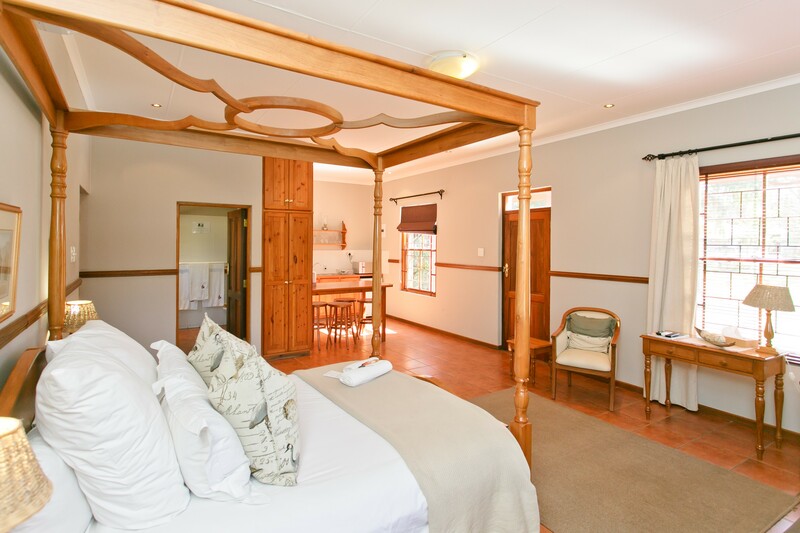 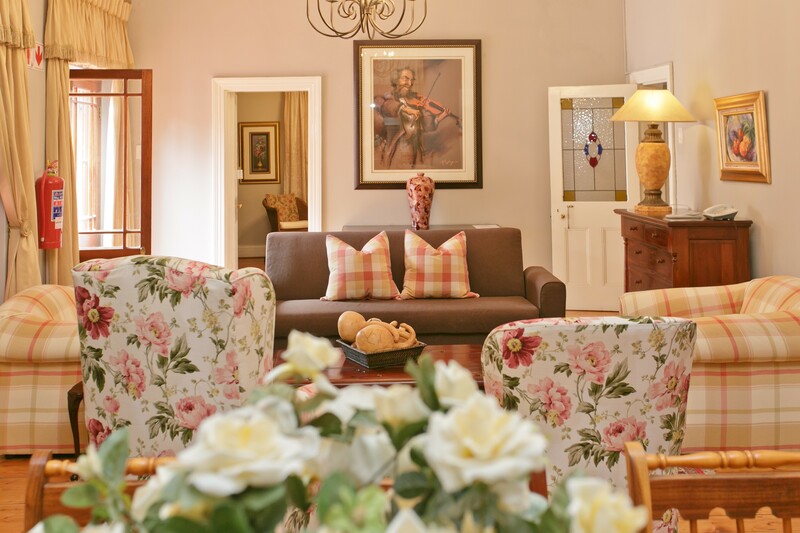 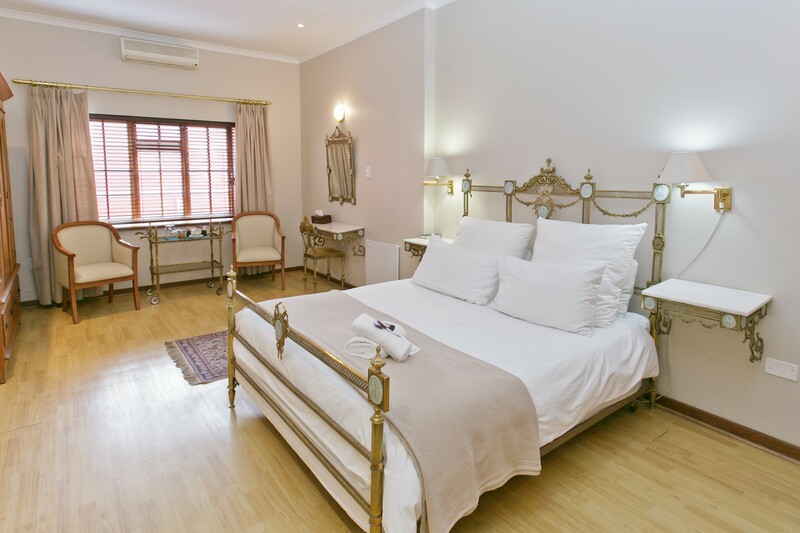 In the Main building, beyond the reception area, dining room and sitting rooms with their genteel air, Beaufort Manor offers designer rooms with ensuite bathrooms that epitomise elegance and luxury and for those travelers preferring some privacy there are self catering cottages situated in tranquil gardens. 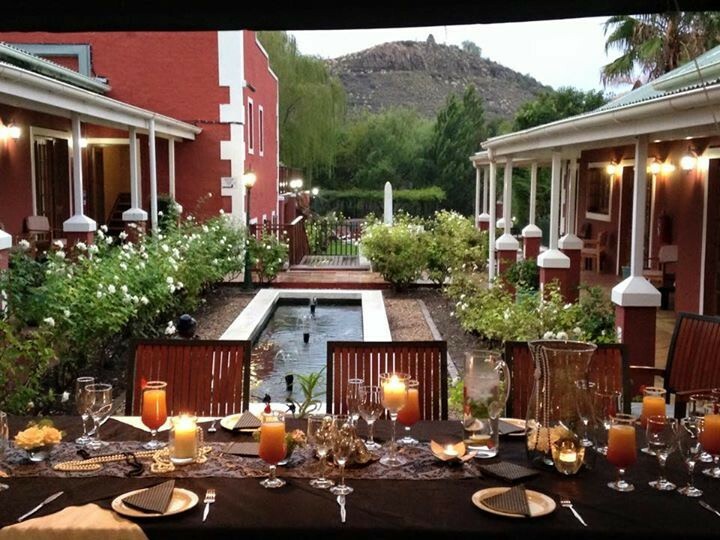 Enjoy tasteful home cooked Karoo dinners. 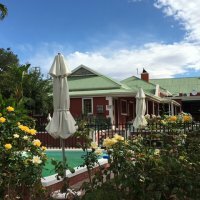 Guests can expect dishes such as our famous Leg of Lamb, home made chicken pie, bobotie and organic vegetables straight from our Garden. 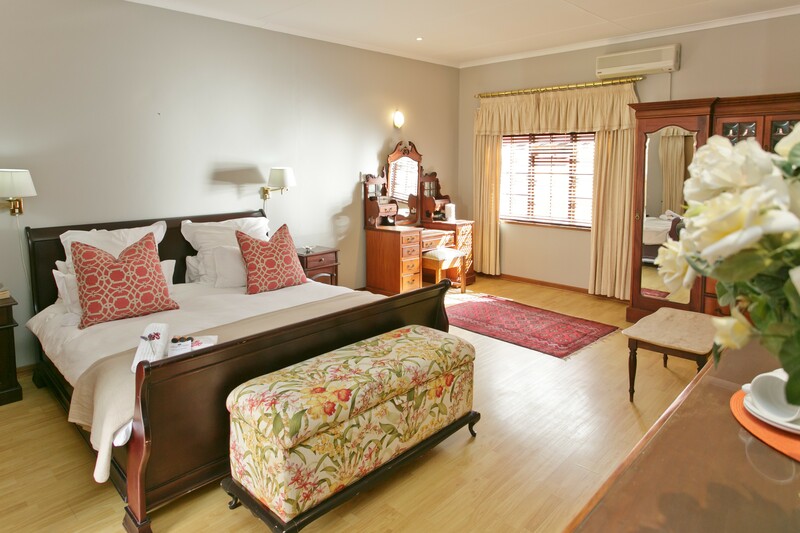 Please book to avoid disappointment. 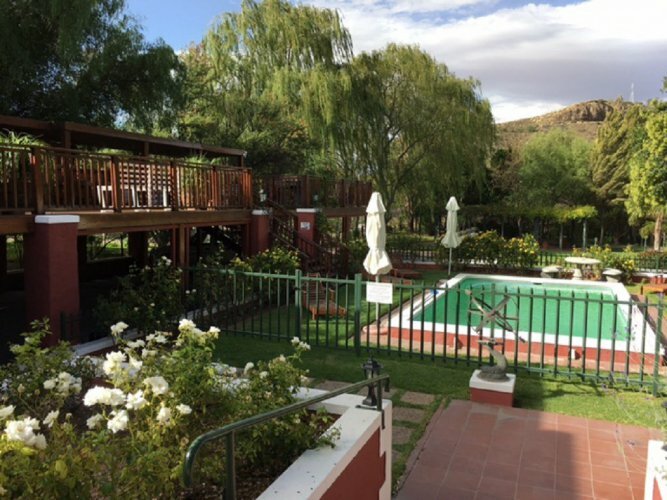 An inviting swimming pool is waiting for you after a hot day of travel, come and relax and enjoy the beautiful Karoo. 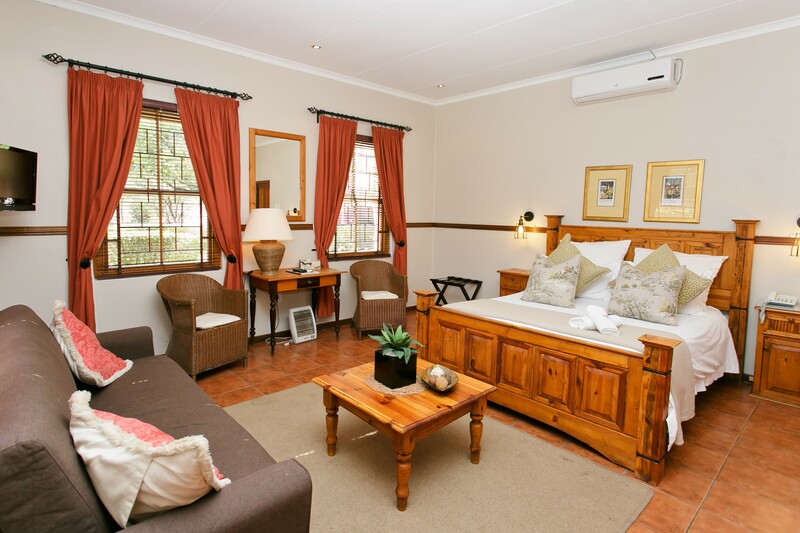 Offering designer B&B suites or self catering cottages set in beautiful rose gardens.